The US passport card is a credit card-sized identification document. It was designed for people who travel frequently between the US and Canada, Mexico, Bermuda or the Caribbean by land or sea. The passport card contains a radio frequency identification chip as well as the traditional photograph and personal information found in a passport book. The chip links your passport card to records stored in government databases. It does not contain any of your personal information. Where Can I Travel With My Passport Card? You can use your passport card for travel by land or sea to and from Canada, Mexico, Bermuda and the Caribbean. You cannot use the passport card for international air travel, nor can you use it for travel to other international destinations. If you plan to travel by air or wish to visit a country other than Canada, Mexico, Bermuda or one of the other Caribbean island nations, you should apply for a passport book instead. How Much Does a Passport Card Cost? A passport card is less expensive than a traditional passport book. Your first passport card will cost $65 ($50 for children under 16) and will be valid for ten years (five years for children). Renewals cost $30. A traditional passport book costs $145; renewals cost $110. Can I Carry Both Types of Passports? Yes. Even better, if you already hold a valid US passport that was issued after you turned 16, you can apply for a passport card as a mail-in renewal and pay only the $30 renewal fee, saving yourself $25. How Do I Apply for My Passport Card? 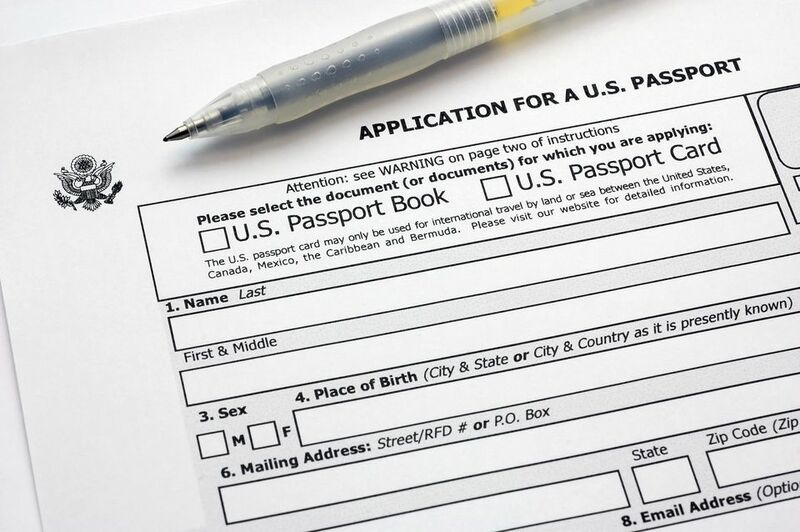 First-time passport card applicants who do not have a passport book (traditional passport) must go in person to a passport application facility, such as a post office or courthouse, and submit a completed passport application form, proof of US citizenship, one passport photo and the required fee. You may need to make an appointment to apply for your passport card. Contact your chosen passport acceptance facility for location-specific information and appointment availability. When you apply for your passport cards, you will need to give the passport official the documents you submit as proof of citizenship, but they will be returned to you separately by mail after your passport has been issued. You can have passport photos taken at many "big box" stores, pharmacies, AAA offices and photo studios. Some post offices also offer this service. Do not wear your glasses when posing for your passport photo. If you normally wear a hat or head covering for medical or religious purposes, you may do so for your passport photo, but you must submit a statement with your passport card application detailing the reasons for wearing it. The statement must be signed by you if you wear a hat or head covering for religious reasons. Your doctor must sign the statement if you wear a hat or head covering for medical reasons. You may also take your own passport photo. The requirements for passport photos are quite specific. You can find a list of passport photo requirements, tips for taking your own passport photo and a photo sizing tool on the State Department's "Photo Requirements" web page. If you choose not to provide your Social Security number on your application and you live outside the US, the IRS can fine you $500. Can I Track My Passport Card Application Status? Yes! The State Department now offers online passport application tracking. You will need to provide your last name, birth date, and the last four digits of your Social Security number. When Will I Receive My Passport Card? You will receive your passport card in six to eight weeks, not counting mailing time. Try to apply for your card at least ten weeks before your scheduled departure date to allow for unexpected delays in processing. You may apply for expedited processing if you are willing to pay an additional $60 for that service. Typically, expedited passport applications are processed in two to three weeks. Overnight delivery is not available for passport cards. You will receive your passport card via first class mail. Travelers who need passport cards in less than two weeks must make an appointment at one of the 13 Regional Passport Agency offices to submit their applications and payment in person. Call the National Passport Information Center (NPIC) at 1-877-487-2778 or use NPIC's online passport appointment system to schedule your appointment.